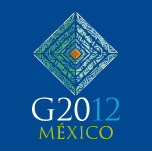 It acts as an insurance policy for its members against the failure of the G20, a risk highlighted by ill-tempered exchanges over currency issues at the 2010 G20 summit in Seoul. It is a useful political club for liberal Western democracies (plus or minus Russia), whereas the G20 contains a less ideologically coherent group of major powers. CIC has argued that neither of these arguments is convincing in this paper, and that the G20 which lost some momentum after the 2008 financial crisis has still engineered progress on IMF reform, monitoring global imbalances and financial regulation. The most pressing issue is not, in fact, whether to maintain or discontinue the G8, but instead to indentify ways to draw non-Western powers into security cooperation.